You can switch between Month, Week, and Day views by simply clicking the view you would like at the top of the calendar page. 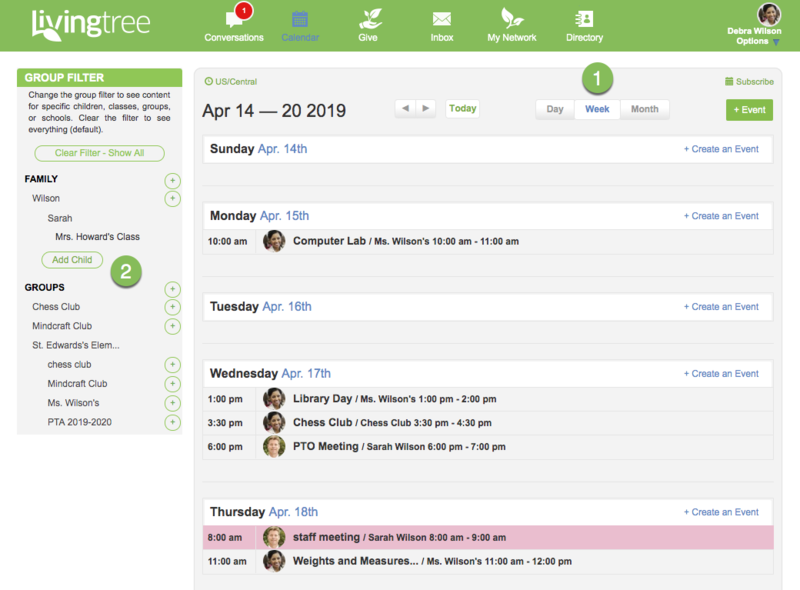 The left navigation allows you to easily filter the activity in your calendar in the context of a specific child, group, extended family or everything at once. Just click on the child, class, team, or any other group to see only the activity associated with that group. To return to the aggregated view, click 'Clear Filter' in the top left.